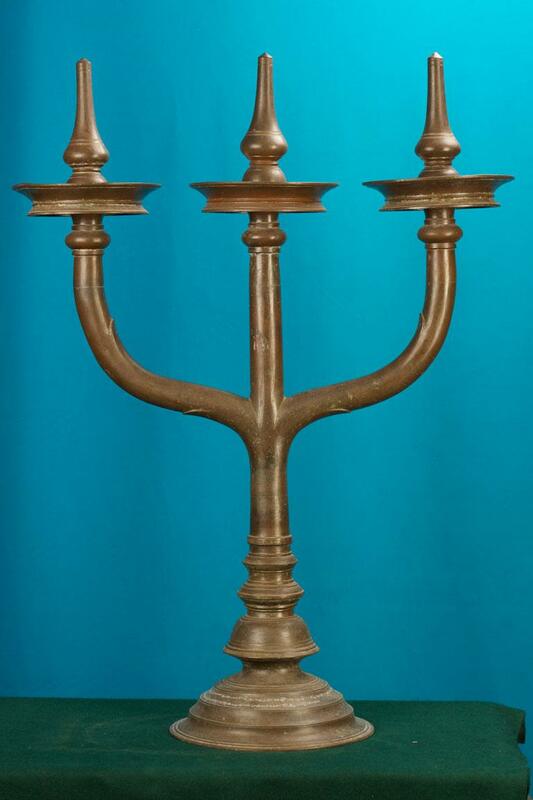 This oil lamp stands apart from other lamps in the collection with its majestic look and classic richness. An interesting feature of the lamp is its pedestal with inscriptions of Tamil characters. It has three similar branches where one can fill oil and place wicks. These lamps were once used in the temples of Kerala.